In the heart of Soho lies one of Londons most popular Italian restaurants. With reservations booked out weeks in advance, food critics have dubbed it one of the hottest spots in London today. 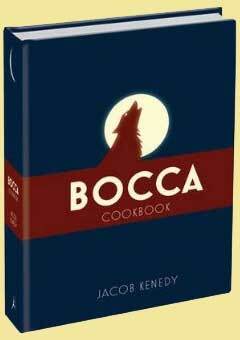 Now, in this eagerly anticipated release, readers can bring home a taste of the culinary genius of restaurant Bocca di Lupo to their own dining room table. With Bocca, leading chef Jacob Kenedy brings Italian cooking back to its regional roots and reinvents it as only he knows how. Jacobs cooking is simple and delicious and embraces the rich diversity of regional specialities. Covering everything from Tuscan bread and tomato soup and Venetian tagliatelle with pigeon ragù, to Lazian suckling pig, Piedmontese meringue gelato cake and Neapolitan coffee with zabaione, Kenedys recipes capture the unique culinary traditions in which each region takes pride, and are full of brilliant anecdotes and stories. This extraordinary book includes over 200 recipes with photography from the acclaimed Howard Sooley, who travelled the length and breadth of Italy with Jacob to capture a way of cooking that is generous, exuberant and joyful. 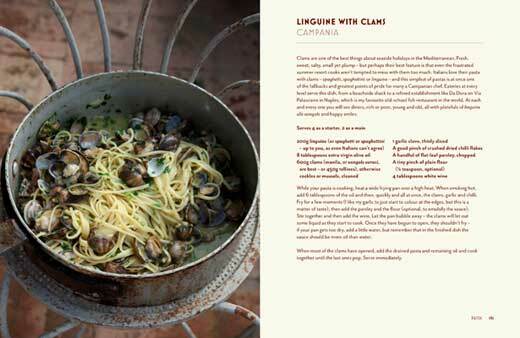 It is designed by Caz Hildebrand, best known for the Moro series and all of Nigella Lawsons books. 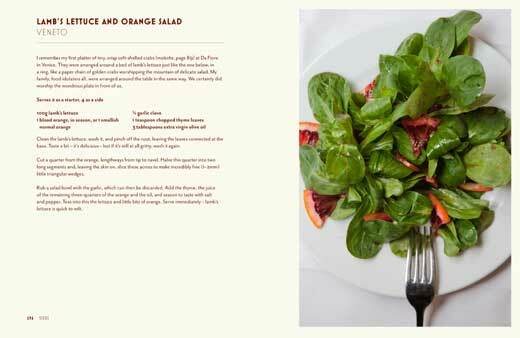 This is quite simply the most beautiful, intelligent and practical cookbook I have ever seen. From the first page, it set my taste-buds tingling, my mouth salivating, my body wrapt in anticipation of the aromatic, strong yet subtle tastes of Italian food at its very best and most creative, traditional regional dishes each with the author's own original twist. Jacob Kenedy's book starts with the simplest of raw ingredients and, with the wave of a magic wand he turns each dish into a masterpiece. I have tasted his wonderful creations many times in his restaurant - in this cookbook he lays bare all his secrets with unequalled candour and generosity (there is easily enough content for two cookbooks here), sharing anecdotes from his own fascinating background, his views on food and life, memories of zucchini flowers eaten at the edge of a volcano, even the card-game "posso". In the dedication, food is seen as the music of love. I (a musician) certainly love this wonderful food! I have eaten at Jacob Kenedy's fabulous restaurant on many occasions and was delighted to discover that he had decided to share some of his secrets. Many of the recipes are surprisingly easy using readily available ingredients though I think I will find it harder to find cuttlefish ink and pig's blood, if I am tempted to try the seppie col nero or sanginaccio. Some of the pictures are like a dream, all of them fantastic. And the recipes? Jacob Kenedy was born in London in 1980 and still lives there today. When he graduated from St Johns College, Cambridge, he was already a chef at Moro, and continued to flit between the kitchens there and those at Boulevard in San Francisco for ten years. 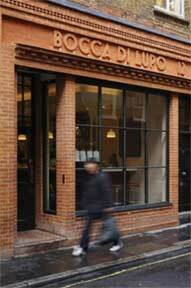 In 2008 he opened the critically acclaimed Bocca di Lupo, twice awarded Londons best restaurant. You can find him at the stove there most days of the week. In 2010 he opened Gelupo, a gelateria and delicatessen in the same street, which made a lot of people very happy, and in the same year co-authored the award-winning Geometry of Pasta. Jacob believes that to love eating is to love life, and that to love cooking is to love giving pleasure to other people. He loves both in equal measure, and hopes you do too. My dad always used to cook these for me as a kid, and I used to love them. In fact, he still does, and I still do. The flavour is incredibly delicate, the texture soft, with all the comfort of eating baby food, thanks to the ricotta. Not truly a cheese, ricotta is a by-product of the cheese-making process: whey that has been cooked and drained. So you find buffalo ricotta in Campania and Puglia (very rich, creamy and wet); sheeps milk in the far south, the islands, Tuscany and Piedmont (my favourite, creamy and farmyardy); and cows milk, the commonest everywhere. As by-products go, this is to my mind the very best. Boil the spinach in well-salted water until tender, refresh it under cool running water and squeeze as dry as you can. Chop it very finely with a knife and mix with the ricotta, Parmesan, egg and flour to make a very soft dough. Season with nutmeg, salt and pepper, but not a heavy hand - the flavours are very subtle, and so too should be the salt. Bring a pan of salted water to the boil (the spinach water is fine if you still have it). Drop a walnut-sized lump of dough in a bed of flour and roll it into a rough ball: it will be too soft to make a perfect sphere, but that is why the dumplings are called malfatti - badly made. Cook it in the water to see if it holds together. If not, add a bit more flour to the mixture and test again. 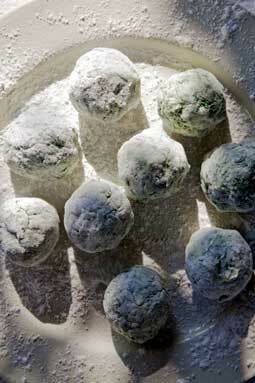 Once the dough is just (but only just) firm enough to withstand cooking, roll the remainder into about a dozen golf balls, again coating them in plenty of flour. Simmer for 7 - 8 minutes for a slightly oozing middle, counting from when they rise to the surface. While they are cooking, fry the sage in the butter until the leaves are crisp and the butter hazelnut brown and foaming. Drain the malfatti, and serve with the butter and sage poured over, and a liberal sprinkling of grated Parmesan. A light tomato sauce works well if served under the malfatti rather than over them, and dotted with tiny knobs of butter. Or try draping the freshly cooked malfatti with thinly sliced lardo (cured pork back fat), still serving with butter, sage and grated Parmesan. I spent a little over a week travelling around Lake Garda, just as spring was breaking, the snow-caps melting, the sun shining but the tourists not yet arriving from over the Dolomites. Curiously, it was in Malcesine that I had the best plate of mussels I have had in my life - despite the distance from the sea, and the abundance of freshwater fish dishes on authentically local menus. There is therefore some claim to say this recipe is from the Veneto, but I have no idea how typical it is. I have probably cooked the dish for more people at Bocca di Lupo than ever ate it on the shore of Lake Garda - of that I am pretty much certain. In a wide pan, fry the celery, garlic, thyme and chilli in the oil very gently for 5 minutes, to infuse the flavours. When the garlic threatens to colour on its broken edges, crank up the heat to high and add the tomatoes and mussels, a good amount of pepper and a tiny amount of salt. If your pan is wide enough (the mussels no more than two or three deep), you should be able to cook it easily, just by shaking the pan for 3 or 4 minutes until all have opened. In a narrower, deeper arrangement I prefer to pick the mussels out as they pop - they are ready as soon as this has happened, and my dislike for overcooked mussels is so entrenched it extends even to the people who make them that way. 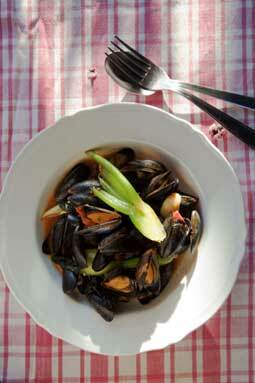 In either case, when the mussels are open, stir in the basil, taste for seasoning and serve with good bread. The liquid will be a rich, velvety broth - quite sparse as it is only the natural juices of the ingredients, hence its pure and intense flavour. Granita di caffè is made in almost every good caffetteria in Italy, and is as good as the coffee that makes it, and therefore as the café. This poses a challenge to the home cook, unless you have a proper espresso machine. The best alternatives are to use a stovetop moka machine, or to get friendly with a local coffee-shop owner. Once you have made a good coffee (page 444), the rest is impossible to get wrong. The espresso should be mixed with the water and sugar, and stirred until the sugar has dissolved. 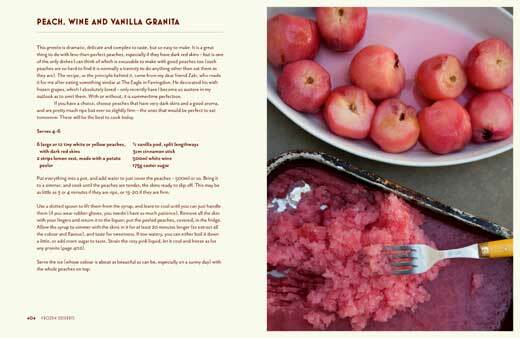 The mixture can then be frozen - see watermelon granita (page 402) if you need any assistance here. Serve it with plenty of cream, slightly sweetened and whipped to soft peaks. I use 100g sugar (caster or icing) per 100ml of whipping cream. Italian cafés often layer the granita and cream, but the cream in the middle may freeze, which I find unpleasant. 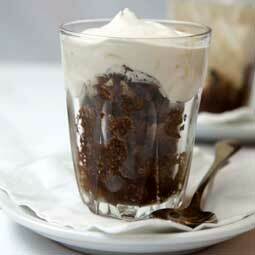 Better just to fill glasses two-thirds full with the granita, and mound the cream up above the rim.